Ukraine has entered a new era in trade relations with the European Union, announced a record high annual inflation rate and is preparing a package of additional sanctions against the Russian Federation, which banned from January 1 the Ukrainian imports and transit of the Ukrainian goods - these are the main economic news of the past week. Ukraine has lived through the first week of the new year with the new budget, the updated Tax Code, simplified trade regulations with its key partner, the European Union; sanctions from Russia and reciprocal steps by Kyiv. Last month Ukrainian the Ukrainian companies were repaid a record amount of VAT - almost $9.5 billion, which is more than half the monthly average in 2015. State Treasury has accumulated on its correspondent account UAH 9 billion, which also turned out to be sufficient for the beginning of the year. Part of the pensioners was pre-paid their January pensions. A new inflation rate was announced: as of the end of 2015 (December to December), it has grown to a 20-year high and amounted to 43.3%. However, this number caused no shock. The government, the rating agencies and the world’s key financial institutions have all forecast the inflation in Ukraine within a 43-45% margin. Besides, the December inflation was not so significant - just 0.7% compared to 2% in November 2015. On the international arena, Ukraine declared that is was getting ready for litigation with Russia over a $3 billion “Yanukovych debt” and imposed retaliatory duties on Russian imports ranging between 1.5% and 19% on various product groups with a transition period of three to five years. A 200-page document with the full list of rates and mechanisms of their calculation was published last week. The duties were introduced as a "mirror" action in response to similar steps of the Russian side. But this will hardly be the end of the trade "pleasantries" exchange. From January 1, in addition to import duties, Russia has imposed commodity embargo on a number of Ukrainian goods, especially foodstuffs. However, later it became clear that the measures will not stop with the embargo and the duties. 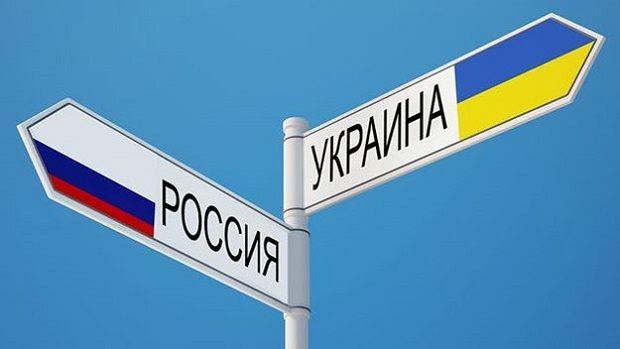 From January 4, Russia has closed to the Ukrainian exporters the transit of goods through its territory, thereby halting shipments of Ukrainian goods to the countries of Central Asia. The Kremlin’s decision was not unexpected to the Ukrainian authorities. The establishment of barriers to transit was earlier stipulated in the decree of the Russian President, Vladimir Putin, and the Russian government's resolution signed in mid-December last year. However, according to the Ministry of Economic Development and Trade of Ukraine, the ban was supposed to be temporary and target certain goods, but it appeared to be complete and indefinite. The ministry immediately organized an operational headquarters, which included representatives of the Ministry of Infrastructure and the State Fiscal Service. Its task is to monitor the situation and offer the exporters new routes of deliveries, as well as the methods for their rapid customs clearance. 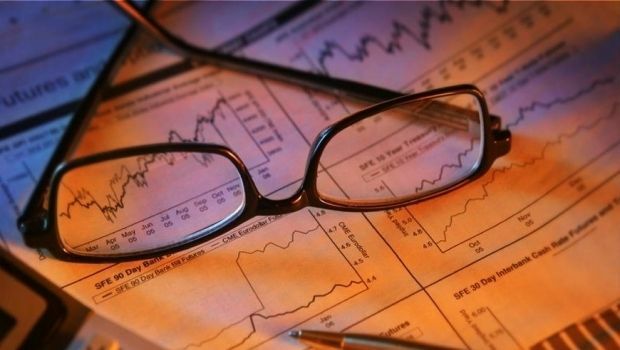 The Ukrainian companies do suffer losses from these measures. It’s not yet possible to assess them, but they are significant. As of the end of last week, about 150 rail cars and dozens of trucks packed with Ukrainian goods, meant go on a transit route via Russia, returned to Ukraine. Ukraine’s Trade Representative Natalia Mykolska noted that the transit ban is the most painful measure that can be imposed on trade flows. In particular, it hits the businesses that were able to set up the sales in the markets of Kazakhstan, which, along with Belarus, refused to support Russia in its sanctions against Ukraine and did not come out of the Agreement on a free trade zone within the CIS framework. Restrictions also affect trade with other partners: Turkmenistan, Kyrgyzstan, Azerbaijan, and Mongolia. So far Ukraine has not announced similar measures regarding the transit of Russian goods. Mykolska said that Ukraine intends to hold consultations with the EU and the WTO on this issue. Meanwhile, from January 10, an embargo takes effect, as planned, on imports to Ukraine of more than 30 product groups from Russia, including food processing products, tobacco, and vodka products of the chemical industry and railway equipment. Last week several reasons emerged to revise the 2016 budget. First, in late January, it will become clear, whether the new tax changes work and whether it’s needed to adjust the budget revenues. Second, there came a sudden scandal with the "additions” to the country’s main financial plan in terms of delaying the introduction of electronic reporting of assets and income of state officials. While studying the already published budget, MP Viktor Chumak saw that this reporting is stipulated to be delayed for a year - until January, 2017. This contradicts Ukraine’s obligations under a visa liberalization action plan, and most importantly - impedes the implementation of anti-corruption measures. The President of Ukraine, who had signed the budget with the said provision, explained that the document was badly needed, in general, "to preserve macroeconomic stability and commitments to the country’s key creditor - the International Monetary Fund." However, the flaws should be corrected immediately, according to the President. But will the Parliament be able to fulfill the recommendation of the head of state quickly? The bill with the corresponding amendment has already been registered in the Parliament. However, the parliament will start its work not earlier than on January 26. The National Bank was also active on the New Year’s Eve. It announced the new criteria and categories for the 117 banks operating in Ukraine as of the beginning of 2016. In accordance with the new criteria, banks are categorized into: banks with state share (with more than 75% state-owned), banks owned by foreign banking groups (which majority owners are foreign banking institutions), group I (banks, the assets share more than 0.5% of the banking system assets), group II (with the assets share less than 0.5% of the banking system assets). The group of banks with state share includes seven financial institutions: PJSC Oschadbank, JSC Ukreximbank, Ukrgazbank, JSC Rodovid Bank, Rozrakhunkovy Center, State Land Bank Goszembank, UBRR. The group of banks owned by foreign banking groups includes 19 banks – PJSC Prominvestbank, PJSC Raiffeisen Bank Aval, PJSC Sberbank of Russia, PJSC Ukrsotsbank, JSC UkrSibbank, PJSC VTB Bank, PJSC Credit Agricole, JSC OTP Bank, CJSC Commercial bank Citibank, PJSC ING Bank Ukraine, PJSC Kredobank, PJSC Pravex-Bank, VS Bank, JSC BM Bank, PJSC Piraeus Bank ICB, PJSC Marfin Bank, Credit Europe, PJSC Deutsche Bank DBU, and PJSC SEB Corporate. Group I of banks includes 13 financial institutions - Privatbank, Alfa-Bank, First Ukrainian International Bank, Bank Pivdenny, Khreshchatyk Bank, Megabank, Credit Dnipro, Procredit, Fidobank, Universal Bank, Platinum Bank, Bank Vostok, Diamant Bank. The second group of banks includes 78 financial institutions. Also, it was reported last week that the Individual Deposits Guarantee Fund sold in 2015 the assets of 63 insolvent banks worth UAH 1.2 billion. The payments to depositors of troubled banks over 2014-2015 exceeded UAH 59 billion. In addition, the Fund repaid ahead of schedule the loans to the NBU in the amount of UAH 10.3 billion. The first week of the year saw some “gas news” as well. It was reported that as of the end of 2015, Ukraine doubled its natural gas imports from Europe to 10.3 bcm, and reduced by 2.3 times the import of fuel from Russia, which had been for many years a monopoly gas supplier to Ukraine. The Russian gas imports in the overall balance of supply amounted to only 6.1 bcm in the past year, while in 2014, the figure was 14.5 bcm. Secondly, the Ukrainian government's forecasts have come true that Ukraine would buy gas in 1Q 2016 at a price lower than $200. In early January it was announced that the Russian government had approved the export duty for gas supplies from Russia to Ukraine and the discount rate. According to the data disclosed, the price of a 1,000 cubic meters of Russian gas for Ukraine in 1Q 2016 was set at $230. Taking into account a $51.2 discount, the final cost of the fuel will not exceed $178.8 per 1,000 cubic meters. According to the government’s calculations, the European price of gas for Ukraine should be similar. The Cabinet has not yet voiced its plans for the procurement of fuel. Third, the state-owned Ukrtransgaz announced last week of a 8% increase the volume of gas transit in 2015. The transit of Russian gas to Europe over the past year amounted to 64.2 bcm compared to 59 bcm in 2014. The company believes that the increased transit is a good sign, but it is still far from the obligations Russia took upon itself in 2009. Under the signed contract, the volume of transit through Ukrainian pipes should be at least 110 bcm. As UNIAN reported earlier, Ukraine challenges Russia’s failure to comply with its transit obligations in the Stockholm Arbitration. 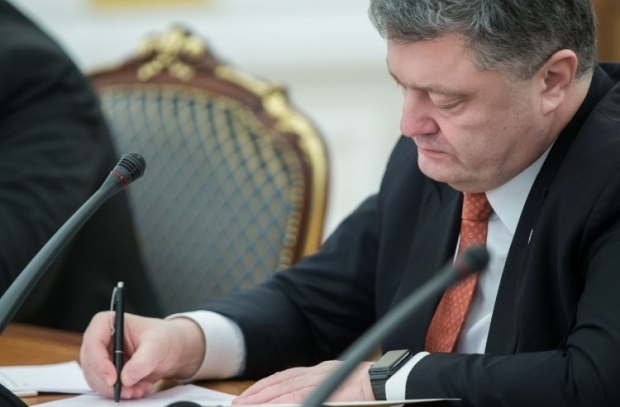 Moreover, Kyiv is now drafting the new, higher, price proposals to the Russian side for the transit of fuel. Now the price of transit is $2.88 per 1,000 cubic meters for each 100 kilometers. And that's not all. Last week it was reported that Naftogaz filed a complaint through the Secretariat of the Energy Community to the European Commission over the Russian Nord Stream 2 pipeline project. The complaint points at the violations of the Energy Community regulations, which will be inevitable in case the project is implemented. However, along with the global challenges, Naftogaz had to deal with a number of local problems in the past seven days. 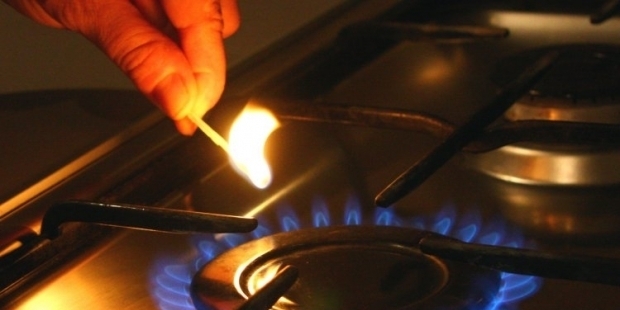 During the New Year holidays, due to a sharp and severe cold snap, the city of Henichesk in the southern Kherson region was left without gas, light and heat. Residents of more than 2,000 high-rise buildings and private houses were scared that he situation will repeat the almost-forgotten events in Alchevsk, where all utility services halted in severe frosts. However, the tragic turn of events was averted this time. The situation was resolved in two days: as early as January 4, gas supplies were restored, and all residents received heat, water and electricity. Next week will just as full of economic developments and announcements. The celebrations will move to the background, the students will return to their desks, while the companies will continue with their regular business routine. Ukraine is expected to resume talks with the International Monetary Fund over the cooperation program, and the exporters will count the first "pros" of the Ukraine-EU DCFTA. In addition, it will become clear, what will be Ukraine’s response to Russia's ban of commercial transit – the negotiations with the WTO and EU experts will be held in the coming days. Meanwhile, the weather forecast warns that Ukraine will be covered with snow next week. Quite an unpleasant news for motorists, but it’s a real blessing for the farmers, as heavy snowfalls are a sign of a better harvest.